An entirely horizontally oriented composition enlivened with a full-height vertical mirror running through the top housing the integral basin. The open shelving breaks up the run of closed base units and wall cabinets. 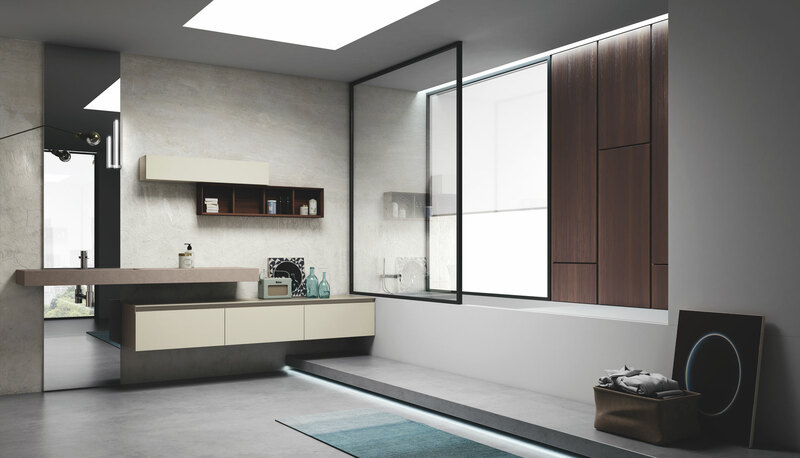 The edging of the open shelving is reminiscent of a frame looking out onto the bathroom. It mirrors the angled fronts of the Groove System. 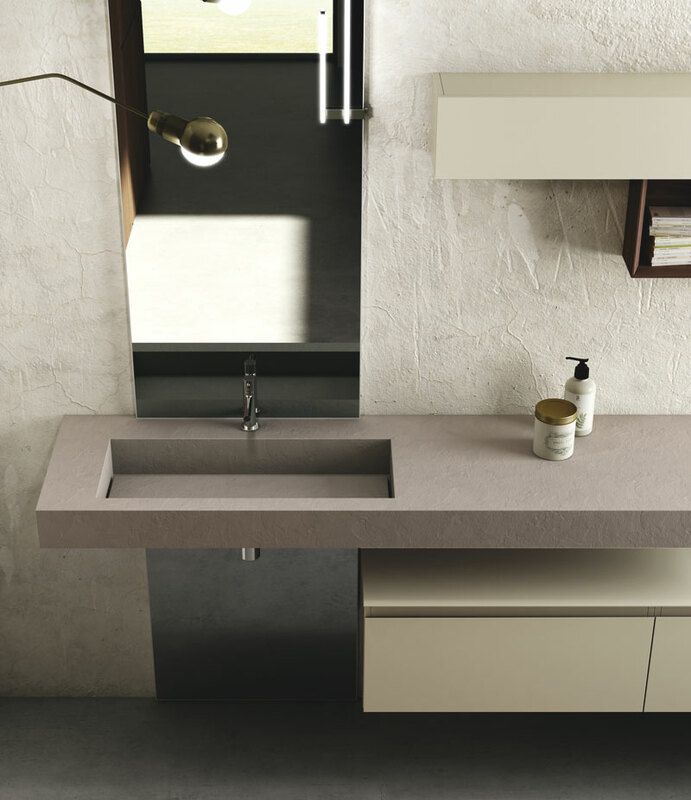 The basin incorporated in the countertop comes in a choice of five sizes. 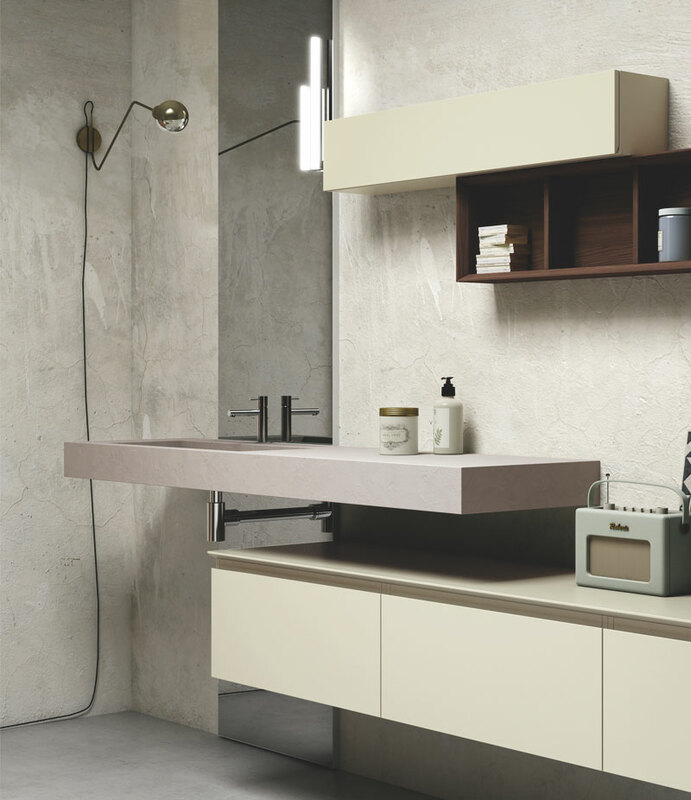 Made from Ecomalta®, a material developed by Oltremateria, it is hygienic, dirt resistant, easy to clean, velvety to the touch, strong, fireproof and recyclable.